From cultural phenomenon to controversial pariah, Pokemon Go's been on quite the journey since Niantic first released its mobile augmented reality game in July 2016. The developer, as well as working on other titles like Harry Potter: Wizards Unite, has been continually working to improve the game with content drops and quality of life updates, and recent statements from Niantic's head of product marketing Anne Beuttenmüller suggests more content is on the way for Pokemon Go players - namely a near constantly requested Pokemon Go PvP option. Currently, Pokemon Go players can fight indirectly via Gym Battles, but there's no way of playing against each other in real time, which is something the community has been asking for since day one. It sounds like Niantic has heard the demand, though, as we could all be enjoying real PvP in Pokemon Go by year's end, should the studio stick to its intended schedule. 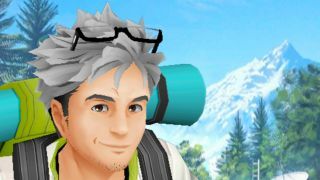 The Gram interview with Beuttenmüller also looks at what's coming next to Pokemon GO in the short term, including tweaks to the social elements of the game. There's talk of options to "segregate your friends list" and add notes to each friend to more easily distinguish them from one another. And, of course, Beuttenmüller promises that more Pokemon will be added to the game in future, but you already knew that, didn't you? The more pertinent question concerns which Pokemon are left to make their debut in the coming months and years. Give us Smeargle already, Niantic! Become the very best with our extensive Pokemon Go tips that every trainer ought to know.